Marcus Ulpius Trajanus was Roman emperor from 98 to 117 AD. Trajan is remembered as a successful soldier-emperor who presided over the greatest military expansion in Roman history, leading the empire to attain its maximum territorial extent by the time of his death. He is also known for his philanthropic rule, overseeing extensive public building programs and implementing social welfare policies, which earned him his enduring reputation as the second of the Five Good Emperors who presided over an era of peace and prosperity in the Mediterranean world. In late 117, while sailing back to Rome, Trajan fell ill and died of a stroke in the city of Selinus. 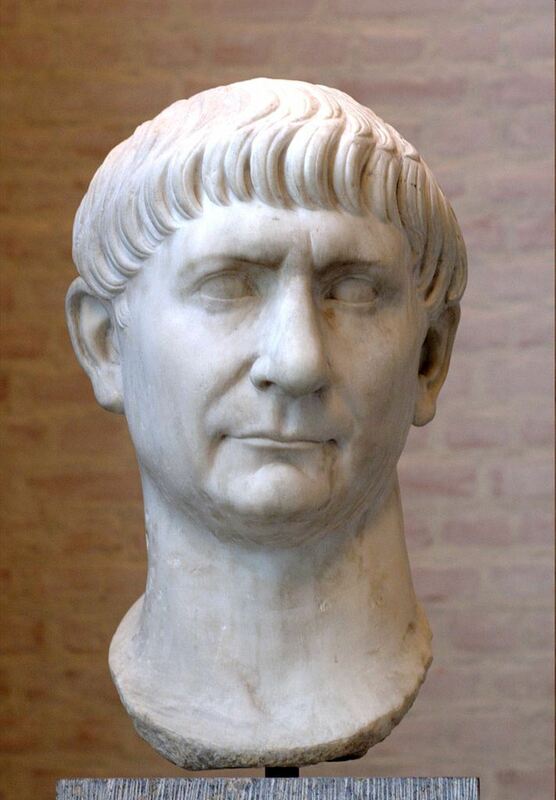 He was deified by the Senate and his ashes were laid to rest under Trajan's Column. He was succeeded by his adopted son Hadrian.